Petroleum is no less than gold and who knows it better than the Gulf nations. All thanks to its endless resources, the Gulf nations have witnessed a staggering growth since the last decade. This is why this place is a centre for many new businesses. As a result, there is a never-ending demand for manpower. And this is where the best gulf placement agencies in Mumbai are called up on stage. Alliance Recruitment Agency is a top gulf consultancy in Mumbai. All thanks to our huge database, we cater to the needs of every business. The Gulf nations always have vacancies for various positions, including an accountant, doctor, security personnel, and chef. We have attained complete mastery in providing staffing solutions to every requirement of our partners. 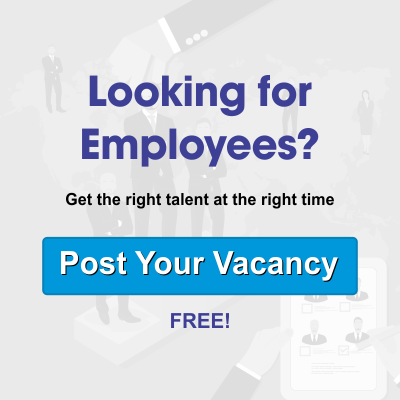 As one of the top gulf recruitment agencies in Mumbai, we ensure that the candidates chosen by our recruiters go on to become the asset of their respective organisation. The prosperity of Gulf nations provides a unique opportunity to the potential candidates to relocate to those nations and earn a fancy lifestyle with handsome salary. The recent trends suggest that more and more new businesses will call establish their business centres in the Gulf Nations – all thanks to its favourable financial condition. Thus, the continuous demand for manpower has led to the growth of gulf consultancy in Mumbai. And we are definitely one of the best ones. Dedicated Team – Our team is our biggest asset. Our team of recruiters pertain to the international standards and are handpicked and professionally trained. And the best thing is, our recruitment team consist of people from various backgrounds. Thus, we face no problem in catering to the needs of each of our clients. Immense Experience – We are not new in the industry. We have been in the field of recruitment for quite some time now. We have years of expertise and it plays a huge role in recruiting the best talent. International Connection: We firmly believe that geographical boundaries do not limit talent. And this is why we have established strong relationships with several other leading recruitment agencies worldwide. This is a win-win situation for both the parties as it presents a unique opportunity to share knowledge and resource. Updated Technology: In the modern era, performing even the simplest task requires the use of technology. Any task without technological intervention is unthinkable. And we are in no mood to make the unthinkable happen. We make sure that we rely on the latest recruitment tools and software to shortlist the best talents. Serving clients with passion and desire is our primary goal. They are pivotal for our stellar performance in the field of recruitment. Moreover, our portfolio separates us from other gulf placement agencies in Mumbai. We have had the privilege of serving some of the biggest organisations in the Gulf countries. We bet you won’t feel dissatisfied. Today, we are regarded as one of the best gulf recruitment agencies in Mumbai and we aim to maintain that. We are never reluctant and our research and development team is always on action to ensure that we comply with the international standards by providing the best staffing solutions. Pricing is never an issue. As we guarantee, affordable services at a pocket-friendly price. So, get the best in the business without burning a hole in your pocket.